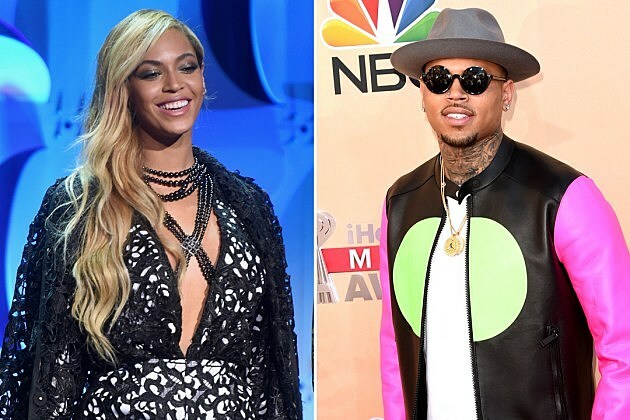 Now this is a pleasant surprise for both Beyonce‘s BeyHive and Chris Brown‘s Team Breezy. A collaboration fans have been longing for has finally emerged. A new version of Beyonce’s 2013 hit song “Jealous” from her Grammy-nominated, multi-platinum self-titled album has leaked featuring decadent vocals from Breezy. CB ads his own twist to the track as Bey’s vocals remain the same on the Hit-Boy-produced effort. Brown gets vulnerable, confessing his insecurities to the Queen. “Queen Bey I’m trippin’ / ‘Cause I’m a little insecure when your phone go off / ‘Cause they be calling at three in morning / I know I do the same s— but girl it’s different,” he sings. It’s not clear when the duet was recorded but the timing for Brown to pour out his heart out couldn’t be better. He and ex-girlfriend Karrueche Tran have parted ways after it was revealed the singer is the father of a 9-month-old baby girl named Royal. The mother of the child is a woman whom both Brown and Tran befriended.